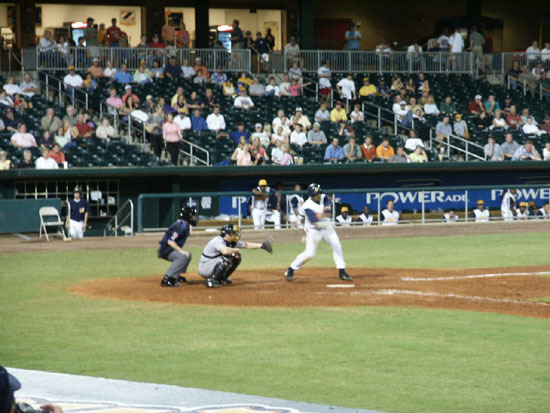 The Montgomery Biscuits, a Double A affiliate of Tampa Bay, play at Riverwalk Stadium which opened in 2004, with seating for 7,000. 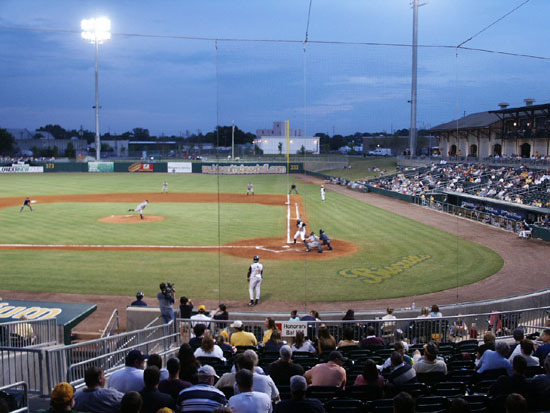 The team last year was located at Orlando, FL. 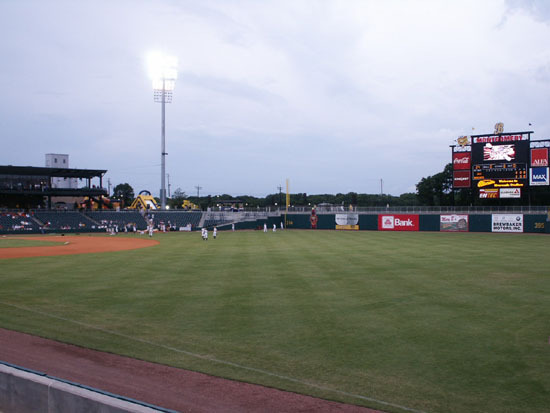 This stadium was built using parts of older buildings in the area. 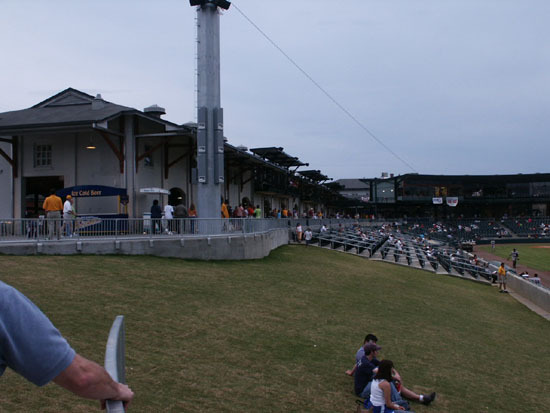 Part of the outside behind home plate was a railroad building from the late 1800s. 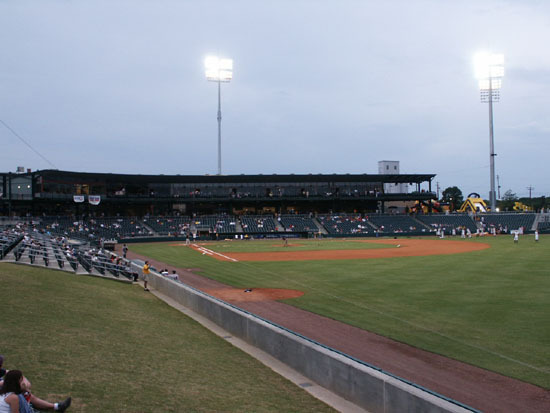 The buildings down 1st and 3rd base sides were an older motel turned into lofts and offices. 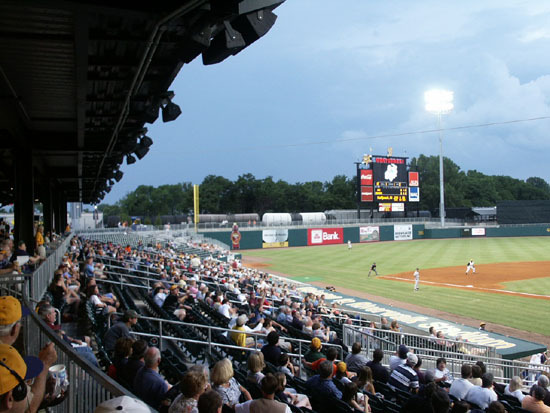 The concession stands are in the lower office part and the suites are in the lofts area. 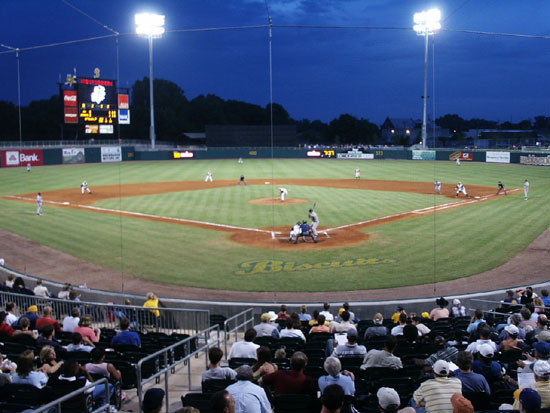 The field is located below street level as are many newer stadiums. 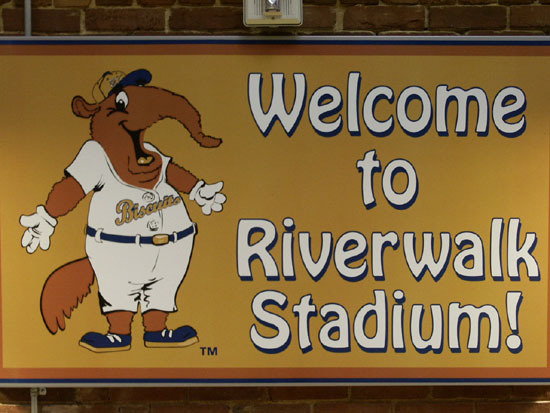 The Biscuits were playing the Tennessee Diamond Jaxx and won 4-3. 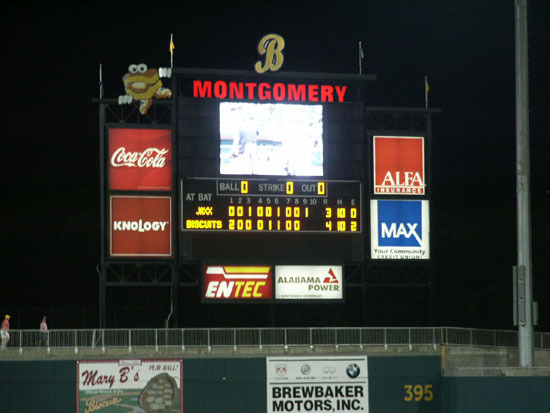 The box score was Diamond Jaxx R-3, H-10, E-0 and Biscuits R-4, H-10, E-2. The field lines are RF-333', RC-373', CF-400', LC-395', LF-314'. 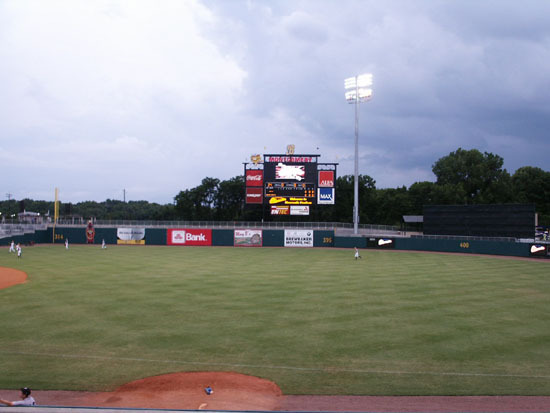 There are picnic tables in right center (group) and the left field corner. 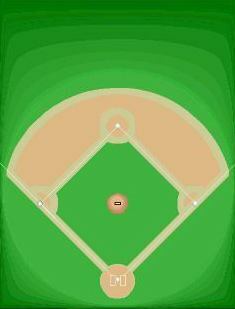 There is a small lawn area down the 1st base line. 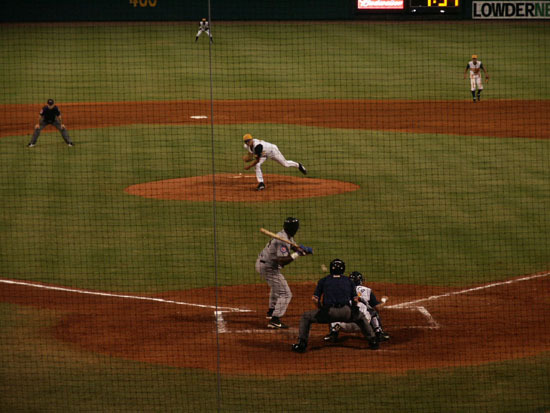 There are railroad tracks outside of left field. 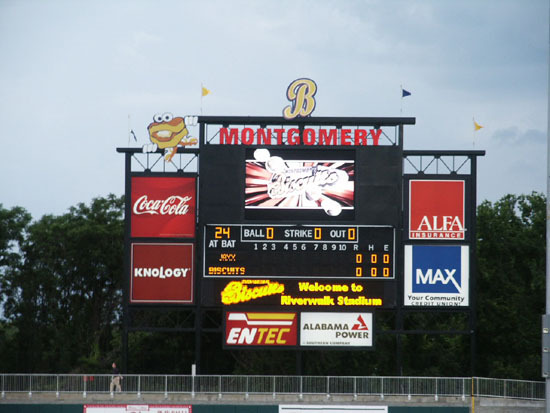 The mayor of Montgomery has promised to pay $1,000 to the first Biscuit player to hit a homerun that hits a moving train. 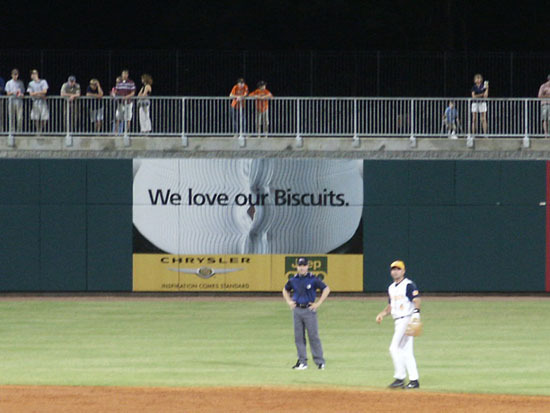 The Biscuit name was suggested by a man who played for the Biscuit Eaters, a softball team in Tuscaloosa. 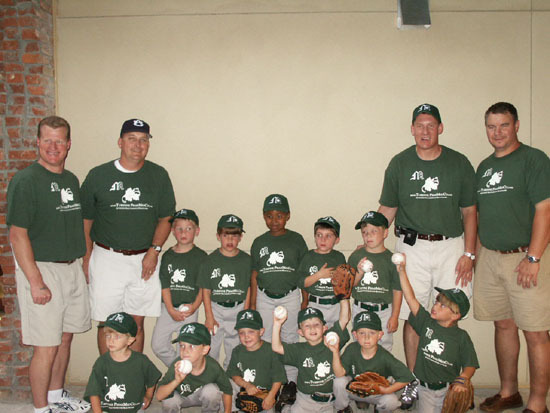 The Tureene Pharmacy Medical Company sponsored T-Ball 4 & 5 years olds of the Dixie Youth Montgomery American League went on the field with the Biscuit players. 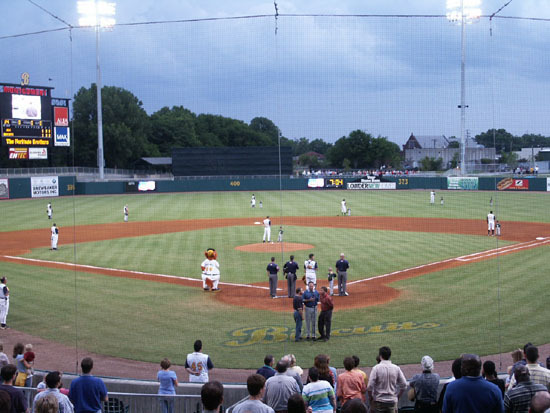 Currently the Biscuits have the second highest attendance in the Southern League. 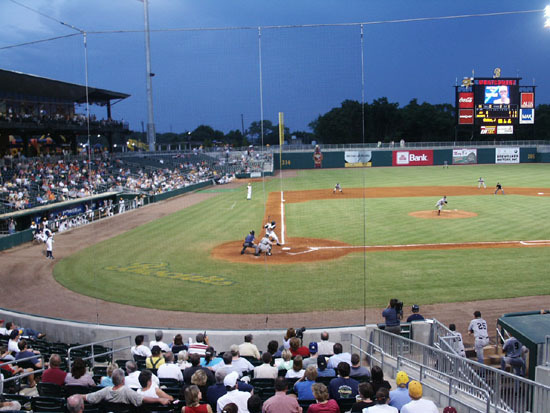 Tonight there were 4,851 fans in attendance. 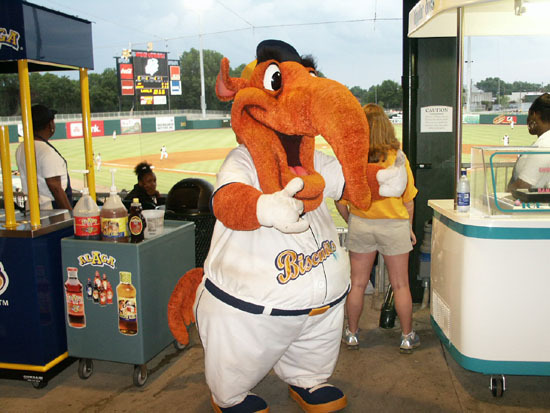 Big Mo is the mascot. 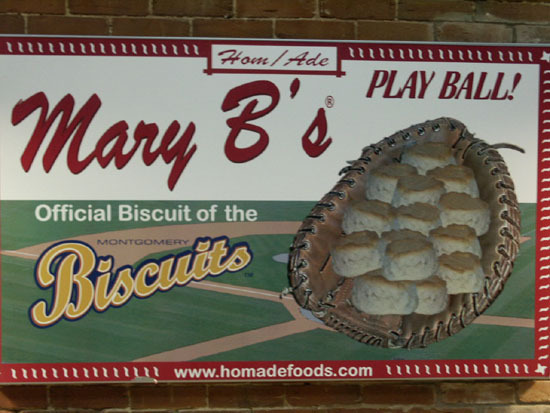 Mary B's provides the biscuits for the concession stand. 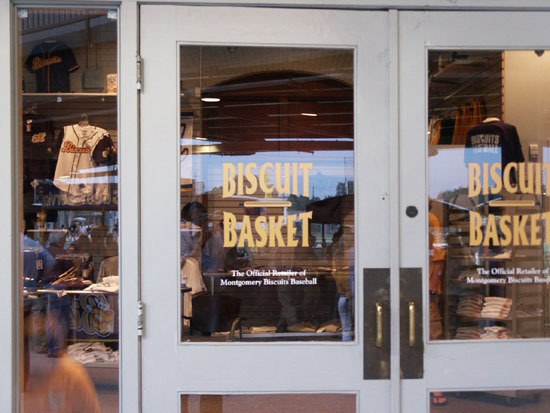 The team store is the Biscuit Basket. 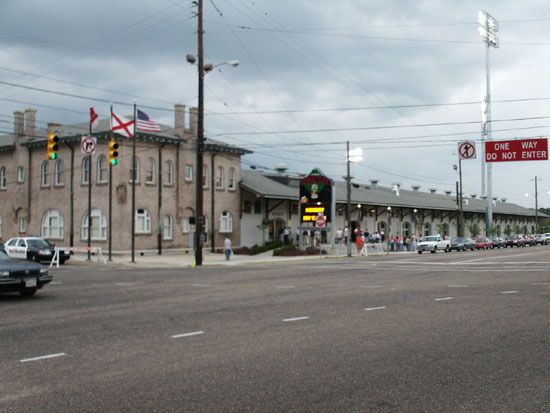 Old Alabama Town is a collection of 50 restored buildings representing life in 19th- and early 20th-century central Alabama. the village depicts living and working conditions ranging from the simple existence of rural pioneers to the elegant surroundings of the urban gentry. Fee. 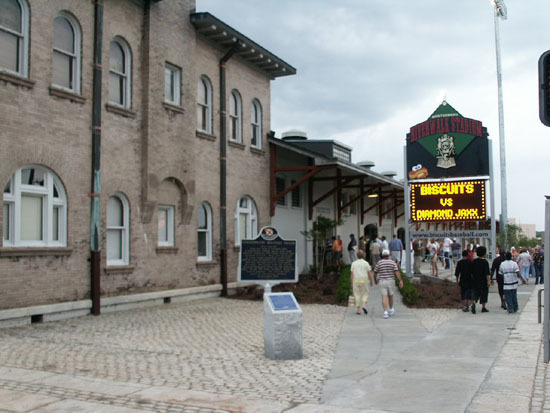 Rosa Parks Library and Museum honors Rosa Parks, whose 1955 arrest for refusing to give up her seat on a public bus led to the Montgomery bus boycott. 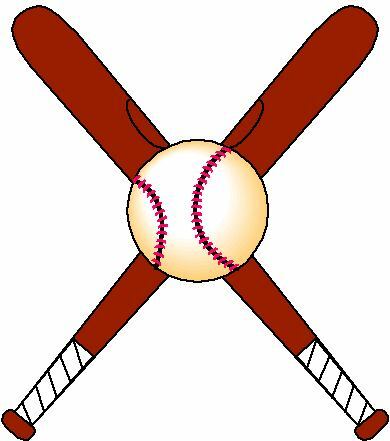 Fee.